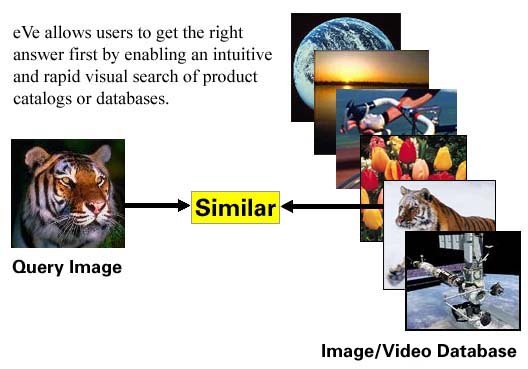 When eVe is integrated into a Digital Asset Management system users can rapidly ingest photographs, graphics, and video assets, make them available immediately online, and search based on image content instead of text or file names only. Users spend less time categorizing individual products with Visual Meta Tagging, which groups visually similar assets automatically and lets you apply text tags. eVe helps manage existing media by converting files to assets; exposing hidden assets; and converting browsers into buyers. Users can find an image, initiate a search, or refine that search in just one click!